France train hero was stabbed multiple times during an altercation in Sacramento. In Sacramento, investigators are asking for the public's help identifying the suspects responsible for stabbing France train hero Spencer Stone during a fight outside a bar earlier this month. 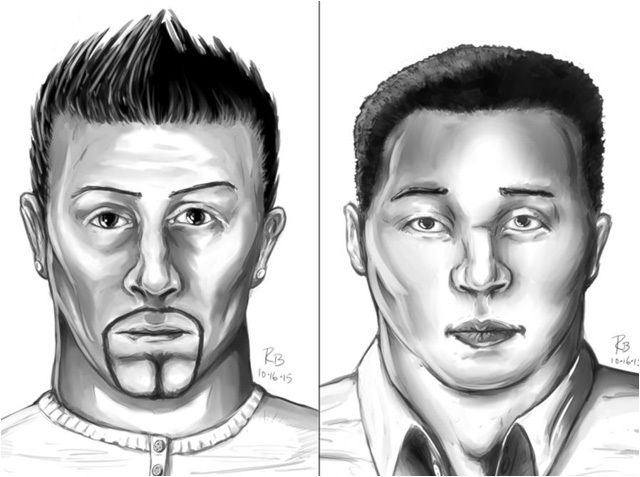 Police have released composite sketches of the suspects, who are described as Asian men. 23-year-old U.S. Airman Spencer Stone, who was hailed as a hero along with two friends after they helped stop a terrorist attack on a Paris-bound train this summer, was stabbed multiple times during an altercation with a group of suspects on October 8. Stone was hospitalized with three stab wounds to the torso. According to the Sacramento Police Department, the suspects are described as "two Asian or Filipino" male adults who were wearing white shirts and blue jeans at the time of the attack. 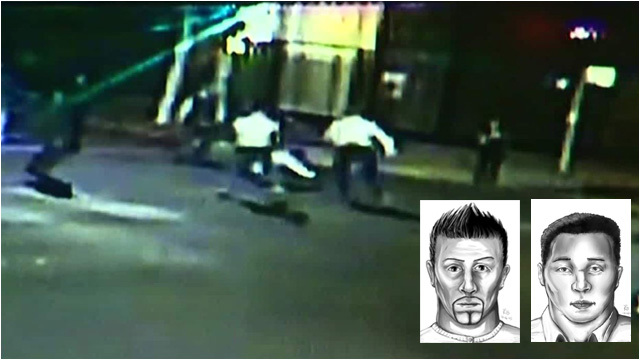 Surveillance video showed them fleeing the scene in a dark-colored 2009-2012 Toyota Camry. Anyone with information about the attack is asked to contact the Sacramento Police Department dispatch center at 916-264-5471 or Crime Alert at 916-443-4357 or text message a tip to 274637 (CRIMES). Enter SACTIP followed by the tip information. Callers can remain anonymous and may be eligible for a reward of up to $1,000.